Just as people are recalled by their personalities, brands are remembered by their identities. With our carefully curated brand identity design services we can strengthen your brand, engage audience and succeed in making an impact. Whether you need logo design, sales brochure design, product catalogue or corporate presentation, Webguru Infosystems provides all types of branding solutions for your needs under one umbrella. Avail our brand identity design services from India and increase your business reach among your target customers. Every brand has some unique characteristics that need to be defined by proper use of colors, shades, sizes, typography and more. At Webguru Infosystems, we simplify the process of brand identity design by providing corporate branding solutions customized to your business needs. We ensure your business develops a unique identity and stands apart from competition. We have a passionate team of creative directors, graphic designers, video animators and project managers committed to providing the highest quality of services for you. Corporate identity design helps you establish a visual aesthetic for your business, propagate your unique image further and provide clear separation from competition. It sends a message to your target audience revealing your seriousness about being successful. It invokes trust and gives an idea about the cultural personality of your business. Thus, a consistent corporate identity ensures that a company is remembered and recalled. With a rise in the number of smartphones and an increase in the speed of internet, explainer videos have grown in demand. Videos provide an all-round understanding of your products and services through audio-visual means, which is much easier for most people to understand and remember. As a leading explainer video company in India, we create business videos that have good production value, are easy to comprehend and helps you attract more customers. This in turn increases your web traffic and ultimately improves conversion rates. Presentations are frequently used by corporates to pitch ideas and proposals to their prospective clients in an engaging way. 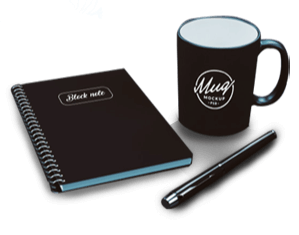 These can bring a boardroom or client meetings alive with smart pictures, attractive designs, and a readable content. Should you want to create attractive corporate presentations with a professional look and feel and make an impact on your audience, we can be of help. We create customized corporate presentations that reflect your brand identity at cost effective rates. Custom illustrations are a great way to engage users, as they draw attention and help promote your business through social sharing. This can help in explaining your products, services, offerings and ideas in a visually interesting fashion. Webguru's team of illustrators are highly experienced and adept at understanding your requirements. This enables us to deliver the best output for your specifications, helping your business present itself in a better way. Webguru Infosystems is a ISO 9001:2015 certified company, well reputed for years of experience in delivering exceptional corporate identity design services. Our legacy as a brand identity design company extends to 360-degree branding solutions that have been much appreciated by a large global clientèle. We provide world-class services to build a unique identity for your business. Whether you want to create a stunning logo, corporate presentations, brochure, or business card, Webguru Infosystems is your one-stop shop for all design requirements. We put in thorough research before suggesting solutions. Brand and identity are developed by a business so that it can distinguish itself from its competitors. Although they sound similar and certainly share some similarities but they are not identical. At the onset it will be helpful to mention that corporate brand and corporate identity are two different things.